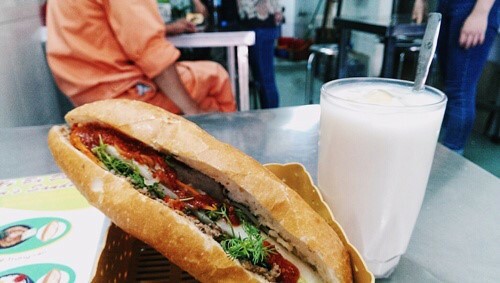 Have you ever had many chances to taste the old ‘banh mi’ and you are bored with it? 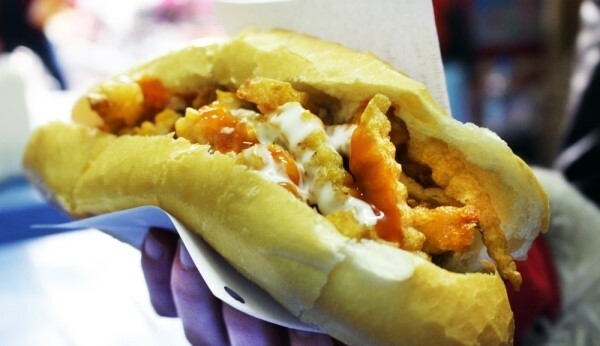 A recent street food trend that has developed in Hanoi, ‘banh mi’ with fried ‘nem chua’ and fries (khoai), is an ideal choice. ‘Nem chua ran’ – fried fermented minced pork and fried potatoes are the strange fillings originally coming from junk food sold around schools in Vietnam. Although being simple ingredients, now they are used as the main elements. With “nem chua rán”, hot fried out-of-the-pan potatoes and fresh salad, the ‘banh mi’ is really crispy. Without a mixture of chili sauce and mayonnaise, this popular dish will not be complete. 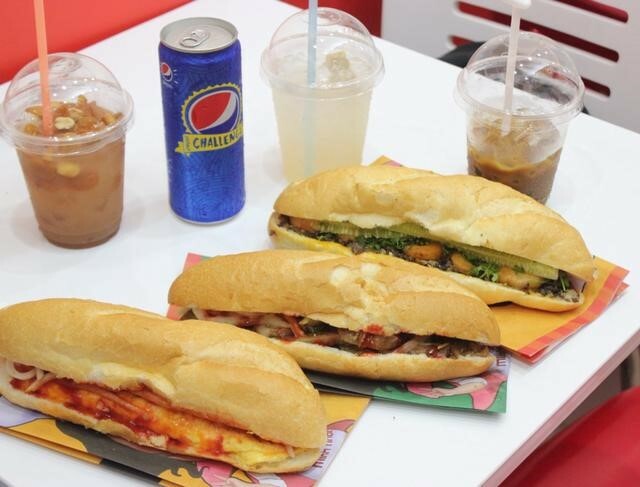 “Banh mi nem khoai” along with peach tea is the perfect choice for those who want to eat like young Hanoians. 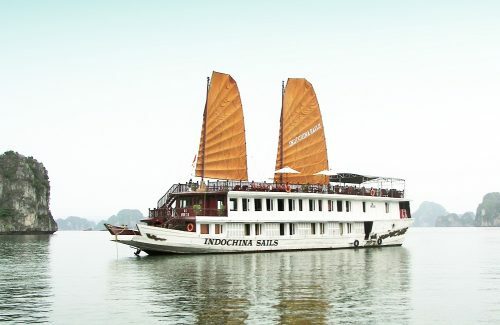 Founded by Minh Nhat – the winner of reality show Master Chef Vietnam 2014, ‘Banh mi’ Minh Nhat is different from other bread stalls. The modern style fast food chain here caters for not only young people but also office workers. Slices of beef or toasted chicken together with the stunning BBQ sauce covering the roll are the secret factor that drives food lovers crazy. The simple fried egg, which is eliminated from the ‘banh mi’ menus of many high-end stalls, can also be found in the chain. Although different from each other in terms of meat, ‘banh mi Minh Nhat’, like all ‘banh mi’, features many kinds of fresh herbs and pickles to balance the taste. It is still worth trying just to experience the different flavors although the price is higher than other places. 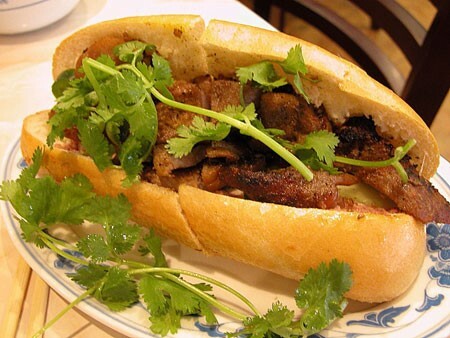 Founded by Mrs Dan in 1979, ‘banh mi’ Mrs Dan attracts customers for its flavored fillings. A loaf of crunchy grilled bread stuffed with creamy pate along with pickled vegetables getting the rid off the fat is the perfect choice for breakfast of many Hanoians. Deli-style pork like roasted pork and sausages are also available.